Read our full review of the new Nikon D850 - Nikon's latest full-frame DSLR, with a 45.7mp BSI CMOS sensor, 4K video, and up to 9fps continuous shooting. 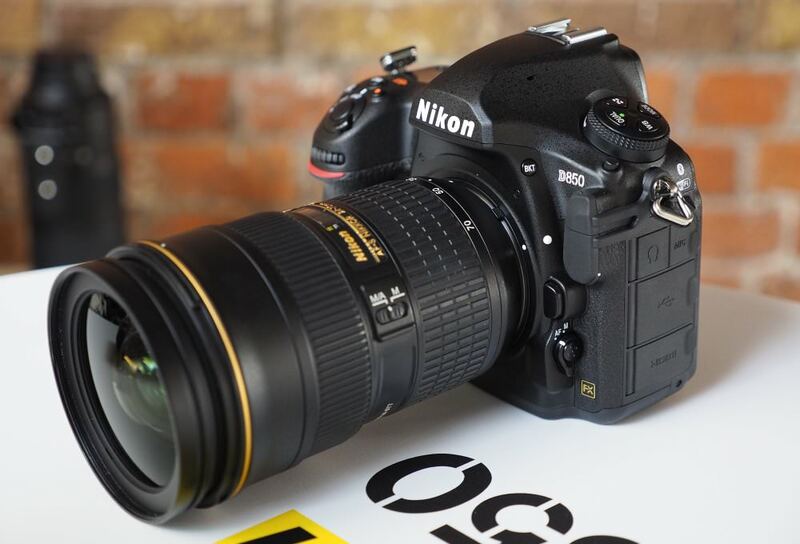 The Nikon D850 updates the Nikon D810 from 2014 and is a significant upgrade, with an all-new 45.7mp full-frame BSI CMOS sensor, fast continuous shooting at 7fps (up to 9fps with battery grip), 4K UHD video recording, a tilting 3.2inch touch-screen, and built-in Wi-Fi and Bluetooth. The camera is also capable of creating 4K timelapse videos in-camera. The Nikon D850 features an all new 45.7mp full-frame (Nikon FX) BSI CMOS sensor, with no optical low-pass filter for better detail recording, and gapless microlenses for better light collecting performance. The sensor has a native ISO range of ISO64 to ISO25600 which extends to ISO32 all the way up to ISO102400 (Hi2) - this extended ISO range is also available for 4K video recording. Read our comparison article to find out 9 differences between the Nikon D850 and D810. The focus system is the same as found in the Nikon D5 and features 153 AF points with the centre point offering sensitivity down to -4EV. The rest of the focus points are sensitive down to -3EV. 99 of these focus points are cross-type sensors. Fine Tune AF uses live-view to help auto fine-tune the AF of lenses. 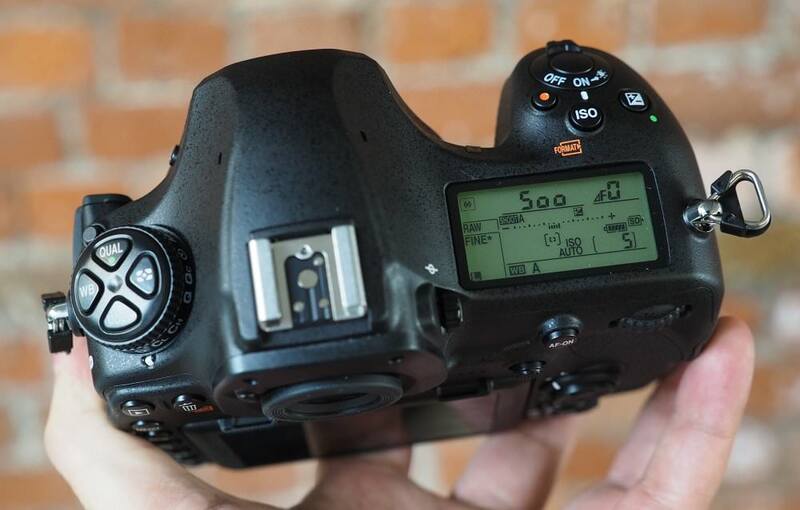 The camera will shoot at 7fps at full resolution, or 9fps when the optional battery grip, MB-D18, is attached. The camera has a buffer capable of taking 51 raw shots before slowing down. 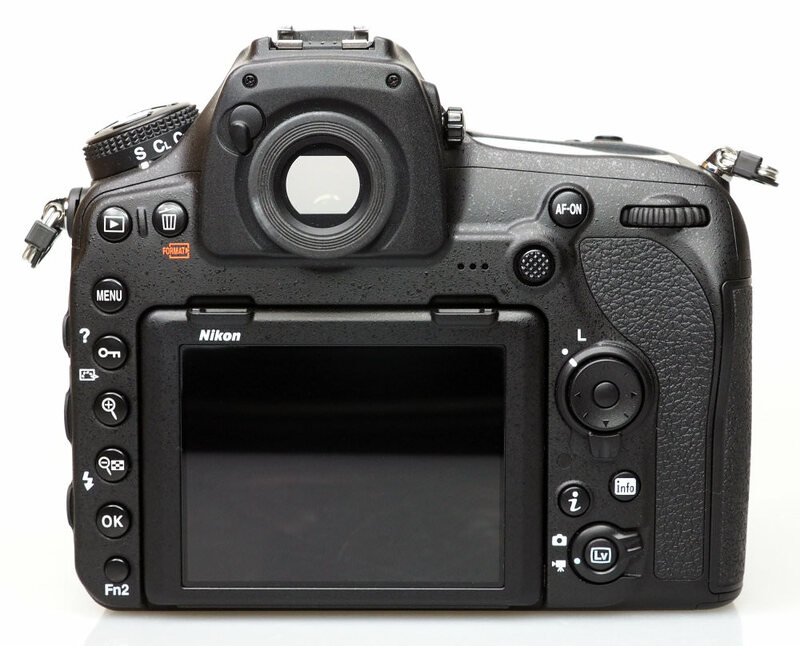 The camera has a continuous shooting quiet shutter mode, plus a silent shutter mode using an electronic shutter. Using this it's possible to shoot at 6fps, or alternatively, you can shoot at 30fps, when shooting 8.8mp (DX crop) images. On the back is a 3.2inch tilting touch-screen, with 2360K dots. 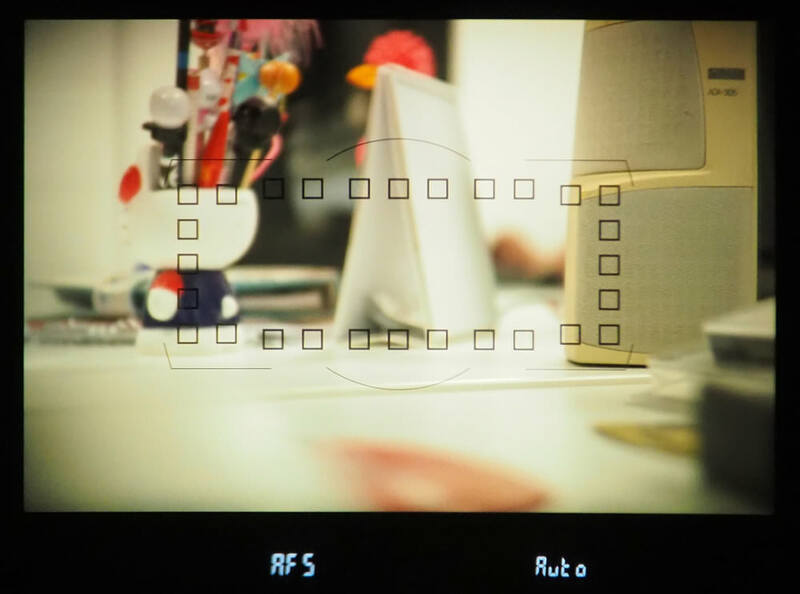 This allows precise focus peaking when using manual focus in live-view, and pinpoint focus is also available. The touch-screen can be used to scroll through menus and change settings. There is no built-in flash, and this means Nikon was able to put a large 0.75x Optical ViewFinder (OVF) in the camera - making it the largest in any Nikon DSLR. Video - 4K UHD, 30, 25, 24fps video recording is possible, using the full-frame of the sensor. It's also possible to output uncompressed video to an external recorder or monitor. You can record slow motion video giving 4 or 5x slower playback, at FullHD resolution up to 120fps. Stereo mics are built-in, and on the side, you'll find microphone and headphone sockets. 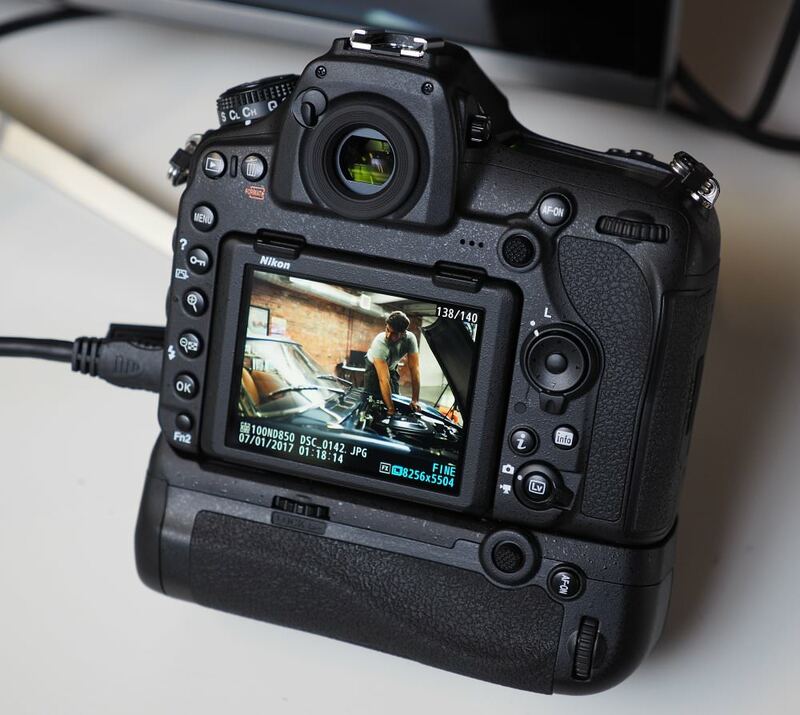 Electronic image stabilisation is available when recording FullHD video. 4K time-lapse video creation is possible in camera, with 8K time-lapse creation possible using images from the camera. A focus stacking mode, called "Focus shift shooting" lets you take up to 300 images, which can then be merged together on a computer, using 3rd party software, such as Helicon Focus or Adobe Photoshop. In camera, RAW batch processing can process 1000 raw images in 25 minutes. You can choose what size raw files you want, with a choice of full size 45.7 megapixels (Large), 25.6 megapixels (Medium), or 11.4 megapixels (Small) images. Wi-Fi and Bluetooth are built-in to the camera to allow low-power image transfer, using Nikon's SnapBridge app, which is available for iOS and Android devices. The camera body is made out of magnesium alloy and is weather-sealed, with illuminated buttons for use in low-light (like the Nikon D5). On the side, you'll find two memory card slots, one SD (UHS-II) and one XQD slot. Battery life is rated at an impressive 1840 shots, with the standard battery. This can be extended to 5140 shots using the optional battery grip. As you would expect for a professional weather-sealed Digital SLR from Nikon, the D850 feels extremely well-built. The camera has a solid construction made of magnesium alloy, and weather-sealing means it should survive use outdoors in less than ideal conditions. The grip is large and has a rubber grip covering a large area of the camera from the front, to the back. On the back, there is ample grip for your thumb, making it possible to get a firm grip of the camera, even if you want to hold it with just one hand. There is rubber grip on the left of the camera, to help you keep a firm grip if using two hands to hold the camera. The optical viewfinder (OVF) is large, and comfortable to use, even if wearing glasses. There is dioptre adjustment if needed, and the black focus points illuminate in red in the viewfinder confirming the focus point and correct focus. The focus points give a wider coverage area when compared to the D810, and focus was rapid, particularly when using the optical viewfinder. Live view focus uses a contrast detection AF system and was not as rapid. The 3.2inch tilting touch-screen looks good, with good colour reproduction, clear sharp text, and great viewing angles thanks to the gapless design. The screen can be tilted up down and has solid metal hinges. The touch-screen is responsive, which makes viewing and reviewing images in playback quick and easy. The touch-screen can be used to set the focus point in live-view as well as take photos, releasing the shutter when pressed. The buttons are illuminated, along with the top LCD screen, and this makes it easier to use the camera in low-light, or when shooting at night. 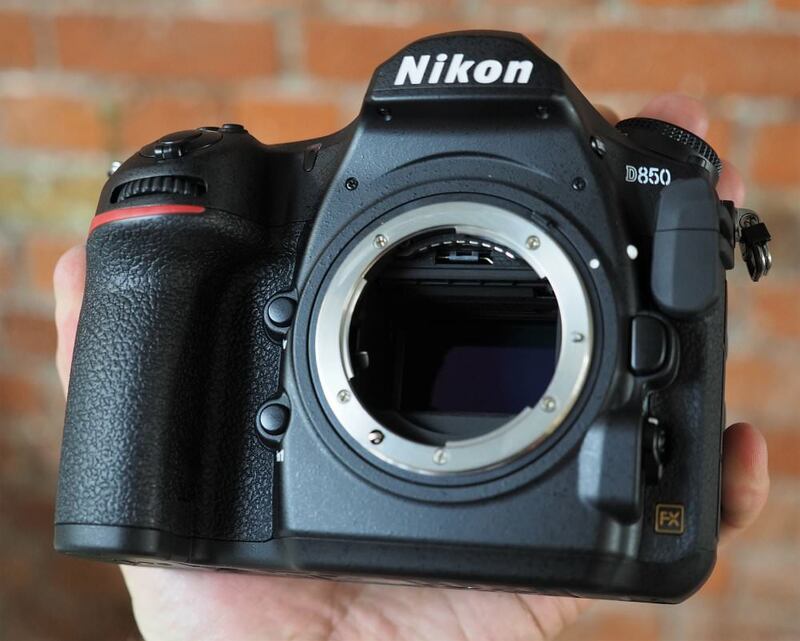 For anyone who is familiar with other Nikon DSLRs, such as the Nikon D810, or D500, the Nikon D850 should feel extremely familiar, as the camera follows Nikon's traditional DSLR styling. There are a number of Function (Fn) buttons that can be customised, including a number of other buttons, including PV (Preview), and the AF-On (back button focus). You can also customise the rear joypad, letting you change what happens when you press it, or when you move it. By default it can be used to change the focus point. The menus are clearly laid out, and each section is clearly colour coded, as well as being neatly organised into logical sections, such as playback, photo, video, setup etc. For anyone who's used a recent Nikon Digital SLR, the menus should be easy to navigate, although there are a long list of options available. Helpfully, the "MyMenu" menu can be customised with your favourite settings, to give you quick access. 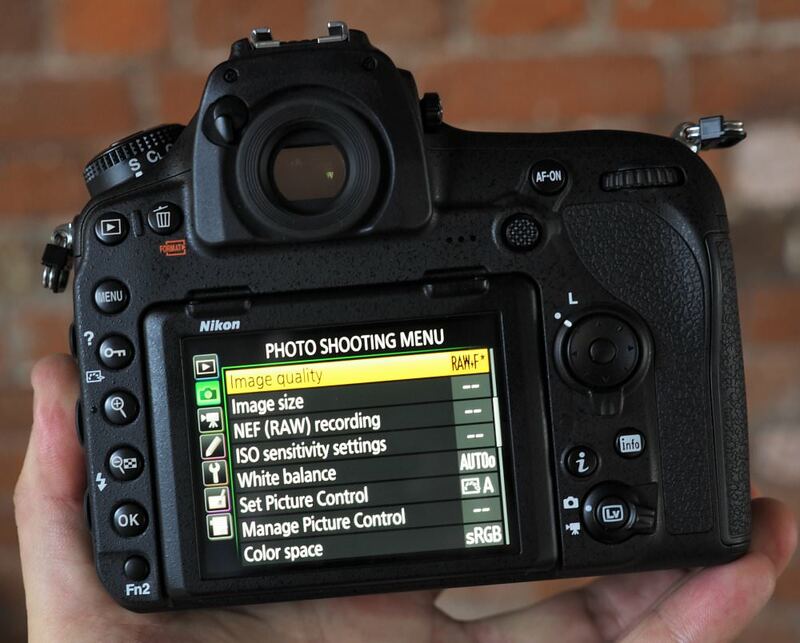 For those new to Nikon, then the built-in help can be used to guide you through the options available. You can also use the touch-screen to navigate settings, and change options. You can view the full menu options in the video below (simply pause the video if you need more time). Wi-Fi features - Using Nikon's SnapBridge app you can automatically transfer images to your smartphone via Bluetooth. By default, these are sent over at 2mp. The option to transfer the original full-size images over to your smartphone is greyed out. I would imagine that trying to transfer 45mp images over Bluetooth would be painfully slow. You can use the app to setup remote control of the camera, and this uses a Wi-Fi connection. The options available when using this to shoot remotely includes the ability to select the focus point using the smartphone touch-screen. You can also press the button on the smartphone to release the shutter. There is no way to change settings, or start video recording. This limited control might be reasonable on a budget point-and-shoot camera, but to have so little control on a professional Digital SLR is extremely disappointing. 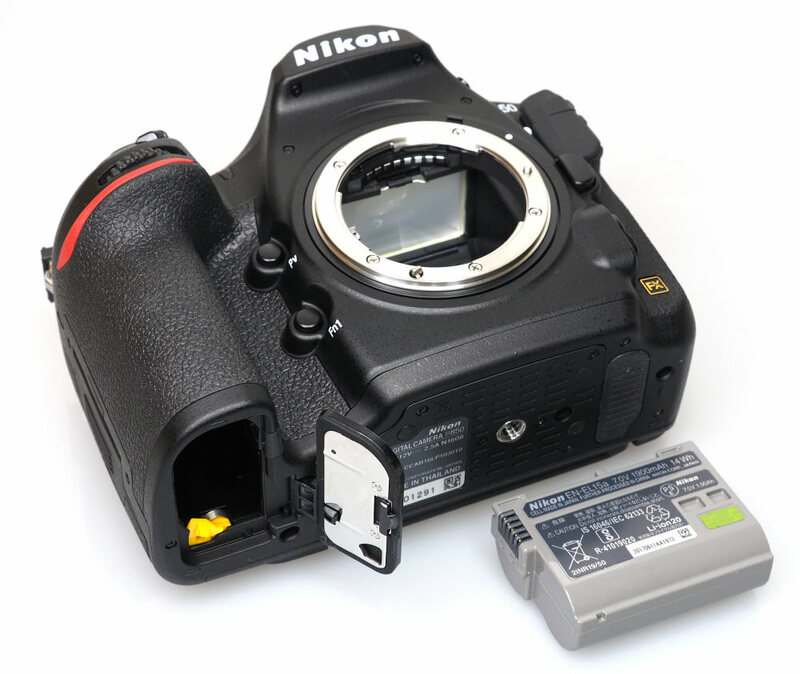 Battery life - Battery life is rated at 1840 shots according to Nikon test results, which is excellent. You can increase this to over 5000 shots with the optional battery grip. It's essentially a full frame D500 which is no bad thing. Hope the QC issues have been resolved. I'm curious to know if the various RAW sizes are 14 bit and whether they are they achieved by cropping the sensor? Reducing Mp must be cropping. 12 bit, presumably sRaw downsampling, so not really Raw. if one zoom in closely on the birds left, your right, eye it clearly shows a row of windows in the background. Just wonder how one shoots an owl at 600 mm indoors. Maybe its a dead, stuffed bird. I saw a clip from the event, HK, where the photo was taken. Finally!, looks like a camera which ticks my main boxes to replace my ageing D3s! (lighter than D3s, good af system, reasonable shooting speed & hopefully good high ISO results - not too concerned about the megapixels), tried a few other Nikons over the past few years & bought a D800, but AF not even close, very low shooting speed, small buffer & high ISO quality not in same league as D3s, (good camera, but not ideal for my needs). Hopefully the D850 will live up to the hype! (pre-ordered, so depending on delivery time, should know soon (ish!)). Is this the most naive camera "full review" ever? Either at leat a page is missing or you have deliberately chosen not to mention dynamic range and high ISO performance (what everybody is waiting for with bated breath), the touch screen, photo stacking (which I can confirm is OK for 1:1 macro) etc etc. You have used video which many photographers rarely use. I have noted fewer and fewer people correspond on the site. If you want to treat your viewers as having less than village idiot intelligence and photographic knowledge by calling this a "full viewer - minus 10 out of 10 for credibility. I post links to your better reviews on other forums. I have more sense than to post a link to this so-called "full review" anywhere. Is this the most naive camera "full review" ever? Either at leat a page is missing or you have deliberately chosen not to mention dynamic range and high ISO performance (what everybody is waiting for with bated breath), the touch screen, photo stacking (which I can confirm is OK for 1:1 macro) etc etc. You have used video which many photographers rarely use. I have noted fewer and fewer people correspond on the site. If you want to treat your viewers as having less than village idiot intelligence and photographic knowledge by calling this a "full viewer - minus 10 out of 10 for credibility. I post links to your better reviews on other forums. I have more sense than to post a link to this so-called "full review" anywhere. Thanks for your feedback, we still have the camera, so will be adding to the review over the next few days. [quote]Hi Len, Thanks for your feedback, we still have the camera, so will be adding to the review over the next few days. [/quote] You can note it has an electronic VR on or off option in the Movie Shooting Menu on my D850. This might influence your rating. You can note it has an electronic VR on or off option in the Movie Shooting Menu on my D850. This might influence your rating. That Abbeydale Picture House photo is utterly disgusting. Are you sure you didn't take it with a 10 year old mobile phone? The highlights are blown, the image is blurry with camera shake, the noise is intrusive. It is an awful photo and does the D850 no favours at all, why even include it? The Heeley park photo is also awful. It is grainy and out of focus. Why use such a small DOF outdoors in daylight with that subject? The sand is overexposed. The wooden beams are soft and grainy. The bushes in the background are mushy and noisy. Seriously, a cheap mobile phone would give better images than this. The portrait shots of the man in the blazer look terrible. The focus is not on the eye but on the mouth - is this a camera mistake or poor composition? The highlights on the face are blown too. I can't get over how poor these photos are. Maybe it's down to the skill and artistic abilities of the photographer, but these photos look like something a cheap mobile would produce not a £3,000 top-of-the-line DSLR. Maybe you have been sent a dud. The portrait shots of the man in the blazer look terrible. The focus is not on the eye but on the mouth - is this a camera mistake or poor composition? The highlights on the face are blown too. I can't get over how poor these photos are. Maybe it's down to the skill and artistic abilities of the photographer, but these photos look like something a cheap mobile would produce not a £3,000 top-of-the-line DSLR. Maybe you have been sent a dud. [quote]That Abbeydale Picture House photo is utterly disgusting. Are you sure you didn't take it with a 10 year old mobile phone? The highlights are blown, the image is blurry with camera shake, the noise is intrusive. It is an awful photo and does the D850 no favours at all, why even include it? :([/quote] This has been replaced with a different shot. The wrong photo was uploaded. We've now included the original JPEG and a raw converted to JPEG to show the difference between what you get straight from the camera, and what can be recovered through processing the raw file. The camera was tested with a Nikon AF-S 24-70mm f/2.8G ED lens. As mentioned in the review, any weaknesses in the lens and focus, will be shown up by the camera. Quote:That Abbeydale Picture House photo is utterly disgusting. Are you sure you didn't take it with a 10 year old mobile phone? The highlights are blown, the image is blurry with camera shake, the noise is intrusive. It is an awful photo and does the D850 no favours at all, why even include it? This has been replaced with a different shot. The wrong photo was uploaded. We've now included the original JPEG and a raw converted to JPEG to show the difference between what you get straight from the camera, and what can be recovered through processing the raw file. The camera was tested with a Nikon AF-S 24-70mm f/2.8G ED lens. As mentioned in the review, any weaknesses in the lens and focus, will be shown up by the camera. [quote] The camera was tested with a Nikon AF-S 24-70mm f/2.8G ED lens. As mentioned in the review, any weaknesses in the lens and focus, will be shown up by the camera. [/quote] Perhaps this is not an ideal comment :( One of the basics of optical physics is that when you increase sensor resolution you get more [i]image resolution[/i] with [i]every[/i] lens used on it. You have to enlarge to more than the point where any lens defects begin to show with a lesser resolving sensor to maybe [i]better[/i] detect any lens limitations that show from 24 or 36 MP captured images. The linear increase in pixels from D810 to D850 is about 12% from 7360 to 8256 pixels. While testing is needed to clarify precise results the increase in image resolution for most lenses will be in the 4 to 6% range. An average 5% increase in image resolution I categorise as useful rather than significant. Phase detect focus accuracy is to quite an extent dependent on whether the focus point is aimed on a subject where acquisition is likely to be good, and also the camera AF settings. We do not know if this was taken into account with some of the "not best focussed" images so far posted. One of the basics of optical physics is that when you increase sensor resolution you get more image resolution with every lens used on it. You have to enlarge to more than the point where any lens defects begin to show with a lesser resolving sensor to maybe better detect any lens limitations that show from 24 or 36 MP captured images. The linear increase in pixels from D810 to D850 is about 12% from 7360 to 8256 pixels. While testing is needed to clarify precise results the increase in image resolution for most lenses will be in the 4 to 6% range. An average 5% increase in image resolution I categorise as useful rather than significant. Phase detect focus accuracy is to quite an extent dependent on whether the focus point is aimed on a subject where acquisition is likely to be good, and also the camera AF settings. We do not know if this was taken into account with some of the "not best focussed" images so far posted. [quote] Quote:That Abbeydale Picture House photo is utterly disgusting. Are you sure you didn't take it with a 10 year old mobile phone? The highlights are blown, the image is blurry with camera shake, the noise is intrusive. It is an awful photo and does the D850 no favours at all, why even include it? Sad This has been replaced with a different shot. The wrong photo was uploaded. We've now included the original JPEG and a raw converted to JPEG to show the difference between what you get straight from the camera, and what can be recovered through processing the raw file. The camera was tested with a Nikon AF-S 24-70mm f/2.8G ED lens. As mentioned in the review, any weaknesses in the lens and focus, will be shown up by the camera. [/quote] The photo is better, but still not sure any of them really show off the sharpness, extra acuity, dynamic range etc that people are expecting. The D850 has created a lot of buzz and a lot of people are looking for reviews to judge whether its worth acquiring. I don't think the photos on here do it any justice or show it in a good light at all which is really surprising. The photo is better, but still not sure any of them really show off the sharpness, extra acuity, dynamic range etc that people are expecting. The D850 has created a lot of buzz and a lot of people are looking for reviews to judge whether its worth acquiring. I don't think the photos on here do it any justice or show it in a good light at all which is really surprising. Clearly I'm not the only one surprised by the god-awful quality of the review images - particularly with regard to noise. The picture house images are soft and noisy, surprisingly so for a modern camera at 1400ISO, and the low light shots at ISO6400 are dreadful and I would have said unusable. This is all the more strange since the noise comparison shots are far cleaner and more representative of what a Nikon usually seems to manage. ePHOtOzine typically tests with recommended lenses, memory cards, etc. But this time to get the buffer results of only 20 RAW shots before slowing down, did you: 1. Not use the 2933X, 400 MB/s write speed XQD cards? 2. Use a UHS-II SD card instead? Still the results would not have been this poor. Looking at Camera Memory Speed Tests results you had to test with maybe a 120MB/s write speed SD card? [link=https://www.cameramemoryspeed.com/nikon-d500/sd-and-xqd-card-speed-test/]Camera Memory Speed Tests[/link] Here is Lexar's Testing of XQD and SD cards in the D500: [link=https://youtu.be/WTbHFbe0gHU]Lexar's Testing of XQD and SD cards in the D500[/link] Here is Lexar's testing of XQD and CF cards in the D5: [link=https://youtu.be/cAKUm_-vmfQ]Lexar's testing of XQD and CF cards in the D5[/link] This is a different camera but the D850 shows similar trends. That is, 51 14 bit RAW shots before the buffer fills with an XQD 2933X. This Photography Life Buffer Chart helps explain how buffers compare on different Nikons: [link=https://photographylife.com/nikon-dslr-buffer-capacity-comparison]Photography Life Buffer Chart[/link] Seeing this, I have to ask, did you use good new En-EL15a battery? 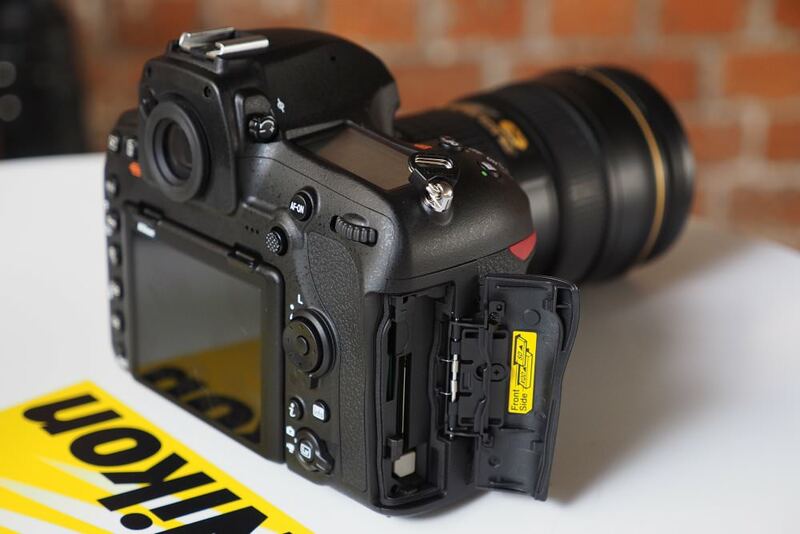 Did you test using the MD-B18 battery grip with an new EN-EL18b battery? Back in the day, storage media quality (film) and batteries made all the difference. Today, storage media (memory) and batteries still makes all the difference. Take care, Milo. 1. Not use the 2933X, 400 MB/s write speed XQD cards? 2. Use a UHS-II SD card instead? Still the results would not have been this poor. Looking at Camera Memory Speed Tests results you had to test with maybe a 120MB/s write speed SD card? Seeing this, I have to ask, did you use good new En-EL15a battery? Did you test using the MD-B18 battery grip with an new EN-EL18b battery? Back in the day, storage media quality (film) and batteries made all the difference. Today, storage media (memory) and batteries still makes all the difference. Take care, Milo. Now Lightroom/PS has updated those of us who use it and have the D850 can get on with our own testing. As for the dpreview test - sorry you are on a different planet to advanced photographers likely to buy this camera. You downrate it for value presumably because it costs more than a D810 list (as distinct from street price). It has not escaped the notice of the rest of the photographic press that it has significantly more MP, good noise, significantly better AF, good touch control, automatic image stacking that can do as many as 5 shots per millimetre of focus travel and has many macro photographers drooling and is definitely not a D810. The D810 is to continue in production. As for the cup of coffee with lots of fine detail bubles on the surface - it is soft - most photographers who know the limitations of AF know why. The best thing I think ephotozine could do is pull the reviews rather than to continue to score nil out of 100 for credibility. Now Lightroom/PS has updated those of us who use it and have the D850 can get on with our own testing. As for the dpreview test - sorry you are on a different planet to advanced photographers likely to buy this camera. You downrate it for value presumably because it costs more than a D810 list (as distinct from street price). It has not escaped the notice of the rest of the photographic press that it has significantly more MP, good noise, significantly better AF, good touch control, automatic image stacking that can do as many as 5 shots per millimetre of focus travel and has many macro photographers drooling and is definitely not a D810. The D810 is to continue in production. As for the cup of coffee with lots of fine detail bubles on the surface - it is soft - most photographers who know the limitations of AF know why. The best thing I think ephotozine could do is pull the reviews rather than to continue to score nil out of 100 for credibility. This was tested with a UHS-II SD card, without the battery grip, and with a new battery. Please feel free to upload or send over high-res images taken with the D850 and we could add them to the review. The review points out in the conclusion that it has more MP, it has good noise, it has good AF, it has good touch control, it has focus stacking, so it is in agreement with you. The review "Highly Recommends" the camera, I'm not sure why you think the review disagrees with you? it is in agreement with you. The review "Highly Recommends" the camera, I'm not sure why you think the review disagrees with you? If the D850 is as much improved a camera as you say, if the D810 launched at £2,900 (which it did), if the £UK has fallen at least 10% since the D810 launch (which it has), why only 3.5 for value at a launch price of £3,499? A 4.5 score maybe until the street price falls to around £3,000 in around 6 months but the D850 is hardly "overpriced" at launch. Your rating of 3.5 implies it is significantly overpriced. Josh, you got 20 frames of 14-bit compressed for the buffer because you used a slow card. Use a 400mb/s write speed XQD like the Lexar 2933x and you will get 51 frames. Please just test it right once. Set ISO to 64, Auto ISO off, and you can hit 80 frames before you slow. But that pushes the Exspeed hard, it takes a lot of current, so the grip can bring you to 85 frames before the buffer slows. Try it. Josh, you got 20 frames of 14-bit compressed for the buffer because you used a slow card. Use a 400mb/s write speed XQD like the Lexar 2933x and you will get 51 frames. Please just test it right once. Set ISO to 64, Auto ISO off, and you can hit 80 frames before you slow. But that pushes the Exspeed hard, it takes a lot of current, so the grip can bring you to 85 frames before the buffer slows. Try it. This d7500 is not full frame it's apc dx. The d850 is. This d7500 is not full frame it's apc dx. I gotta agree that the value should be much higher than 3.5. Josh, it appears that you haven't done your due diligence with this review. This is a ground breaking camera full of features and at a very reasonable price. It will replace my D4 and my D500 and my D810 with just 1 camera. And the samples I've seen online are amazing. The only thing that will compare to the image quality is going to be a medium format, and even then it might still be a toss up. Josh, do you read ePHOTOzine? Are you able to see comments? Josh, do you read ePHOTOzine? Are you able to see comments? We no longer have the D850, and it was not provided with an XQD card. [quote] We no longer have the D850, and it was not provided with an XQD card. Josh[/quote] This does not deal with the consensus that the review seems to fall well short of being of a fair and reasonable standard. As there are plenty of D500 owners around it should not have been difficult to loan an XQD and/or a class 2 SD card for a couple of hours. This does not deal with the consensus that the review seems to fall well short of being of a fair and reasonable standard. As there are plenty of D500 owners around it should not have been difficult to loan an XQD and/or a class 2 SD card for a couple of hours. We used a UHS-II SD card as stated in the review. [quote]LenShepherd We used a UHS-II SD card as stated in the review. Josh[/quote] But what speed type II ? As with earlier SD cards different speeds are available at different price points. Common USB-11 SD speeds range between 1000X/150 MB/s and 2000X/300 MBs XQD can be 400 MB/s. But what speed type II ? As with earlier SD cards different speeds are available at different price points. XQD can be 400 MB/s. [quote]It's essentially a full frame D500 which is no bad thing. Hope the QC issues have been resolved. I'm curious to know if the various RAW sizes are 14 bit and whether they are they achieved by cropping the sensor? [/quote] Which QC issues? Quote:It's essentially a full frame D500 which is no bad thing. Hope the QC issues have been resolved. I'm curious to know if the various RAW sizes are 14 bit and whether they are they achieved by cropping the sensor?